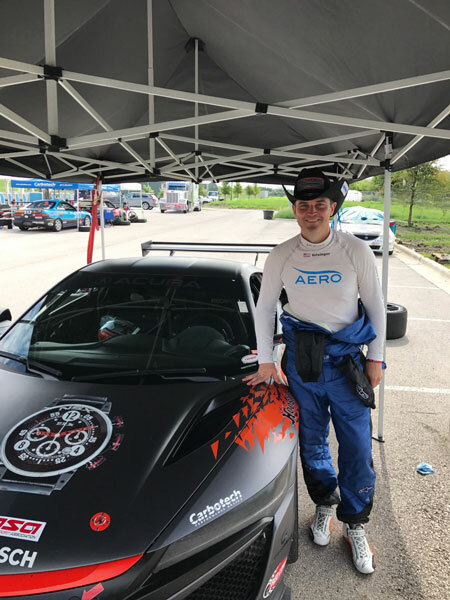 Shawn Church has spent the better part of this week in Austin, TX for the 2018 NASA Championships at Circuit of the Americas (COTA). This morning Shawn texted me with the news that Team Honda Research had won the Super Touring 2 (ST2) National Championship with their mildly prepared 2017 Acura NSX. Pending impound and tech inspection Chad Gilsinger from Team Honda Research has claimed the NASA Supertouring 2 (ST2) National Championship. Driving a largely stock NC1 NSX, Gilsinger qualified the car in 2nd place during a torrential downpour while running dry tires only to find himself demoted to 3rd the next day by a claimed timing snafu that placed a car that was nowhere close to him in qualifying into the 2nd spot. Before the race however Gilsinger was nonplused by the grid change and just planned to push hard early while he had full state of charge on the hybrid batteries. The start saw him jump quickly into first place and he even managed to get ahead of the ST1 field in front of him. Unfortunately a major shunt in turn 1 took the track to yellow and then a brief red flag. Gilsinger maintained his lead, however while the two biggest threats to his position, the E46 BMW M3s of Clarke and McAleenan were stuck further back behind traffic. Both BMWs had shown a pace several seconds faster than the NSX in qualifying but Gilsinger was putting in faster laps early in the race while the BMWs struggled. The NSX held a consistent 5-6 sec lead until about 15 minutes left when traffic and hot tires began to slow the NSX while the BMWs began to click off fastest laps of the race. In the end though, time ran out and Gilsinger crossed the line a mere 0.456 seconds in front of Clarke for the provisional win. Shawn later followed up to clarify that the win was made official. Congrats to Chad Gilsinger and the Team Honda Research team for their well earned championship today!